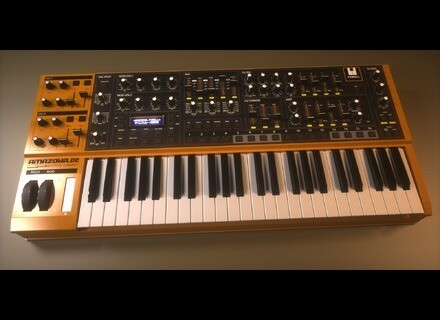 Tyrell, Analog Synth from Amazona.de. 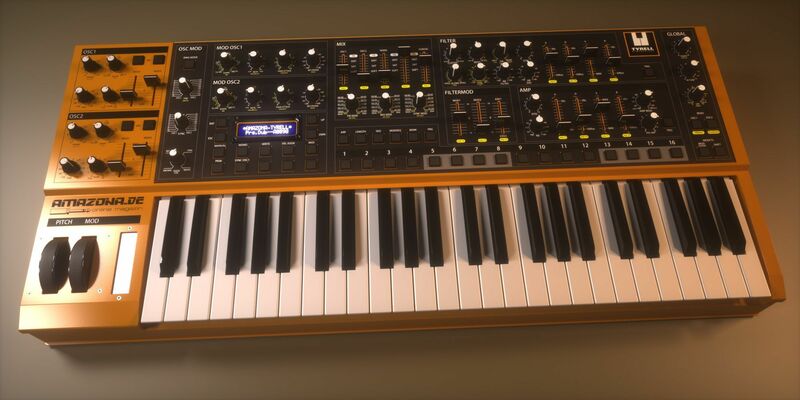 German online music magazine Amazona.de ran a one-year survey and together with their readers, now claims to have invented "the dream synthesizer." Detailed layout and technical plans are said to be all complete. The project managers now say they need a producer to make Tyrell come true. As mentioned above, it is an experiment. For more details and product pics, check out www.amazona.de/index.php?page=26&file=2&article_id=3191. Yamaha Motif XF Mini-Review A big surprise that arrives at the end of 2010 is the new Yamaha Motif XF, which gives a boost to the sound quality and the spontaneity of workstations. So how much more advanced than its competitors is it? Vermona Mono Lancet Modular Dock The Modular Dock is the connection between the Mono Lancet and your modular system. Origin firmware Update 1.3 Available December 1st The Origin 1.3 firmware embeds the new Jupiter 8 template which recreates the voice architecture and design of this analog synthesizer.